Sarasota, FL - Star2Star Communications, provider of the World's Most Complete Cloud Communications Solution with options ranging from Hosted to Hybrid, announced today that the company has won TMC's 2017 INTERNET TELEPHONY Channel Excellence Award. This is Star2Star's second consecutive year winning this award, from TMC and INTERNET TELEPHONY magazine. The Channel Excellence Award recognizes companies who excel in channel-based sales and attract top VAR, MSP, and agent talent to their brands through world-class channel programs. 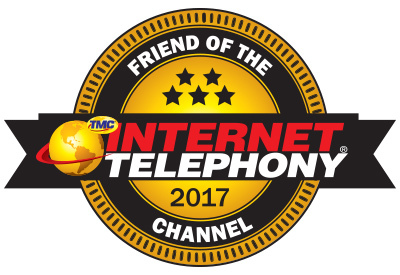 "We are proud to recognize these companies for delivering excellent channel programs and for going the extra mile when it comes to supporting the channel," said Rich Tehrani, CEO of TMC, parent company of INTERNET TELEPHONY magazine. "We look forward to seeing the future endeavors of these organizations." Michelle Accardi, President and Chief Revenue Officer at Star2Star said: "As a company with a 100% channel-based sales model, it is an honor to receive this award for the second year in a row. We are dedicated to providing world-class support and revenue opportunities to our Partners, including exceptional training programs and the industry's best commissions."